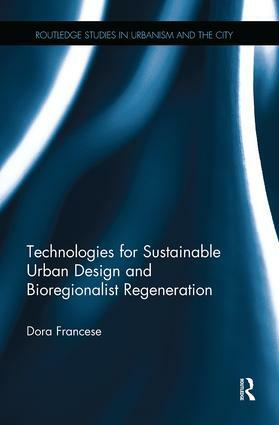 This book explores the role of technology in ecological urban design and regeneration. Part I provides theoretical and methodological insights into technological approaches that offer optimum respect to existing cultural and natural environments, while offering minimum impact and carbon footprint. Parts II and III provide contextualised examples that demonstrate the use, or proposal of, sustainable technologies and solutions for regenerating parts of the urban and peri-urban. The case studies offer insights from the Mediterranean and the Middle East in a diverse range of spaces, from central urban squares, oblique cities, urban waterfronts, decaying suburbs, to peri-urban areas such as touristic waterfronts, former industrial areas, hyper-commercial areas, humid zones and parks.